Below are links to case studies – customer success stories of users who describe their experiences with OpenLM. 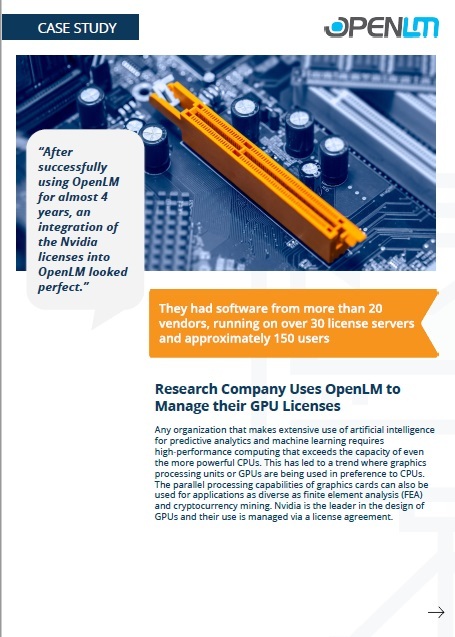 See how users tell of the value they get from OpenLM, their experience with support, how they managed the implementation and even what brought them to the decision that OpenLM is the product they want to help them manage their engineering software licenses in an optimal manner. After nearly 4 years of using OpenLM’s SaaS service, Morrison Hershfield is happy with the control they have over their licenses, thus ensuring license availability to its 500 engineers worldwide. Nearly four years ago, Morrison Hershfield recognized that they needed to manage the costs on their engineering software licenses. They were faced with the common situation that they had users complaining that licenses were unavailable for specific products, while at the same time they had an oversupply of other licenses. With the key objectives of reducing costs while simultaneously eliminating license denials, they started investigating the market. The SaaS service offered by OpenLM appealed as a solution for managing licenses for their 500 users. 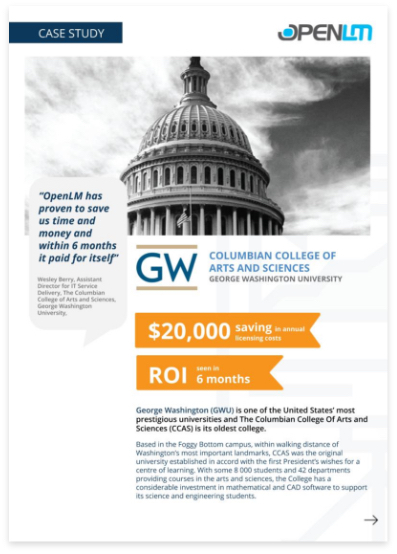 OpenLM is saving the institution some $20,000 a year by making use of all existing software licenses. With 8000 students and 42 departments providing courses in the arts and sciences, the College has a considerable investment in mathematical and CAD software to support its science and engineering students. $30,000 saving in annual licensing costs. 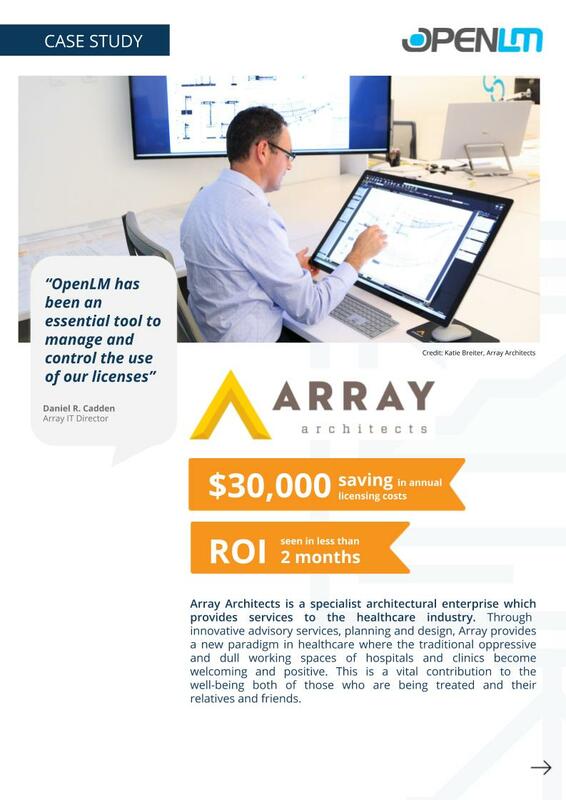 OpenLM was purchased by Array Architects to solve the problem of users booking out Autodesk assets Revit and AutoCAD and not freeing the licenses up when they were finished with them. IT Director Daniel R. Cadden wanted better control over these assets as well as improved visibility into what was happening in the concurrent license pool. He purchased OpenLM after a thorough evaluation, having confirmed that it fulfilled his requirements. Now users still tend to hog their licenses but accept that they will automatically be harvested when the licenses are idle. 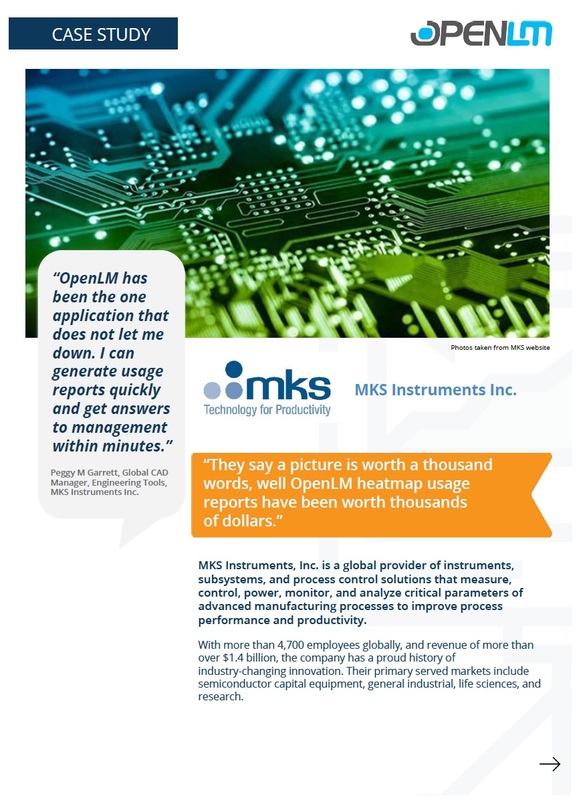 The purchase of OpenLM paid for itself within 60 days, as well as revealing cost savings. Mobility is one of the great challenges of the Smart City. Whether it is ensuring walkability for pedestrians, enabling energy-efficient transport, such as bicycles, preparing for autonomous vehicles, or improving traffic flow and parking, cities are engaged in resolving how their citizens can move freely. 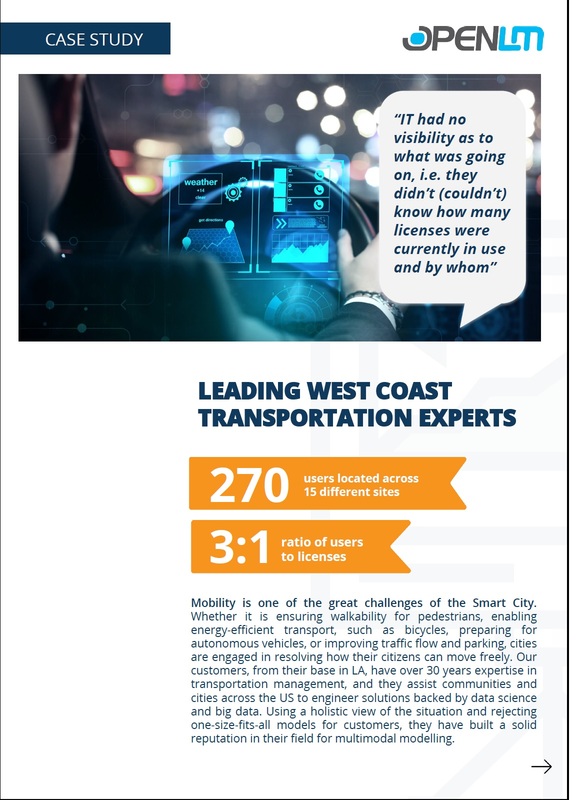 Our customers, from their base in LA, have over 30 years expertise in transportation management, and they assist communities and cities across the US to engineer solutions backed by data science and big data. Using a holistic view of the situation and rejecting one-size-fits-all models for customers, they have built a solid reputation in their field for multimodal modelling. MKS Instruments, Inc. is a global provider of instruments, subsystems, and process control solutions that measure, control, power, monitor, and analyze critical parameters of advanced manufacturing processes to improve process performance and productivity. With more than 4,700 employees globally, and revenue of more than over $1.4 billion, the company has a proud history of industry-changing innovation. Their primary served markets include semiconductor capital equipment, general industrial, life sciences, and research. Global CAD Manager, Engineering Tools, MKS Instruments Inc.
Any organization that makes extensive use of artificial intelligence for predictive analytics and machine learning requires high-performance computing that exceeds the capacity of even the more powerful CPUs. This has led to a trend where graphics processing units or GPUs are being used in preference to CPUs. The parallel processing capabilities of graphics cards can also be used for applications as diverse as finite element analysis (FEA) and cryptocurrency mining. Nvidia is the leader in the design of GPUs and their use is managed via a license agreement.